Created with selected botanical ingredients, Samuel Willards Premium Bombay Gin will make any Gin Cocktail great. Or enjoy it on its own and savour the distinctive juniper and floral flavours. 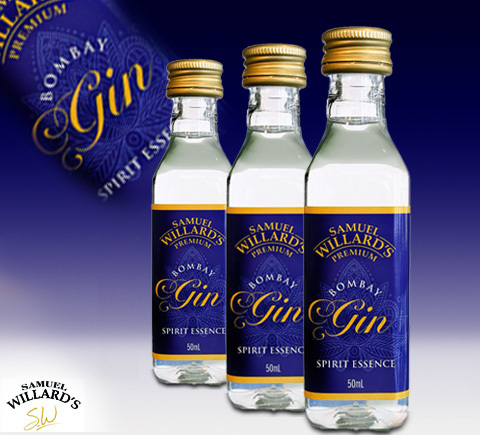 Samuel Willard’s Bombay Gin produces 2250mL of spirit from each 50mL bottle of essence.